The ceramic tile is also reminiscent of the stove setter (Hafner) trade. The Hafner had their branches in the Steingasse next to the linen weavers and white tanners. For a long time, an elevation in the Steingasse was called Hafnerbühel. 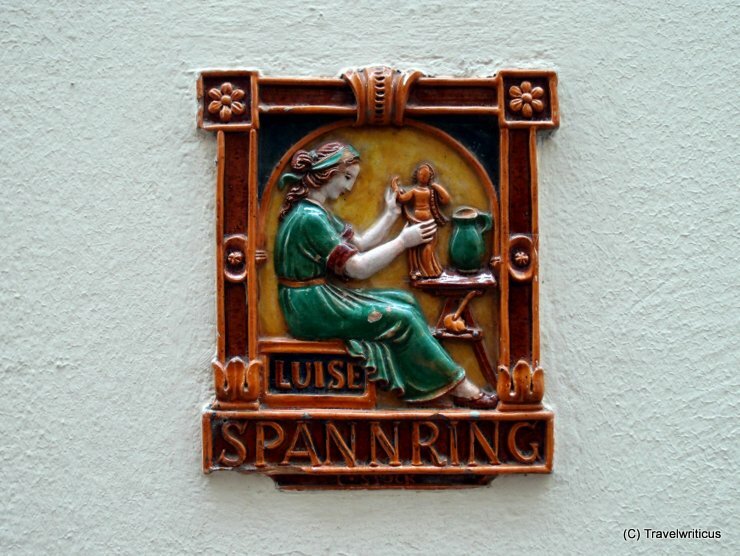 This entry was posted in Plaques and tagged Austria, Salzburg, Salzburg-City, Steingasse by Travelwriticus. Bookmark the permalink.